Home / D20 Modern / minis / Douglas Genoro Esq. 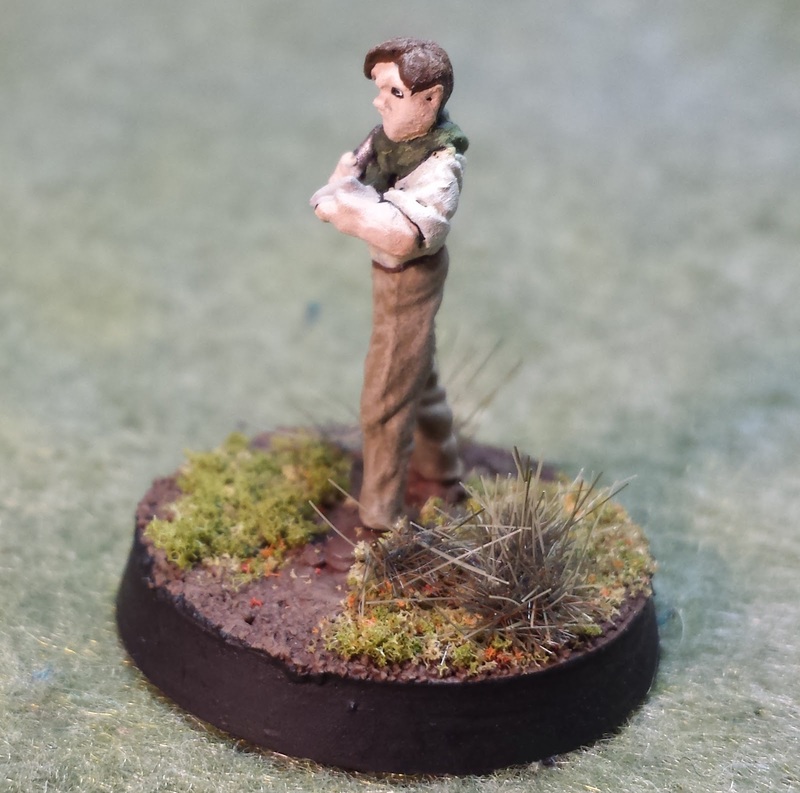 After discovering that the minis I ordered for Dave and myself (Fritz the Mercenary and Jeremiah Joseph the Mercenary) were in 20mm, rather than the expected 25-28mm, I needed to scale back the intended minis for both Jeff and Elijah's characters. The 28mm figures I had for them just made us look way to short and ridiculous. Jeff's Character Douglas Genoro Esq. was particular challenge to locate. 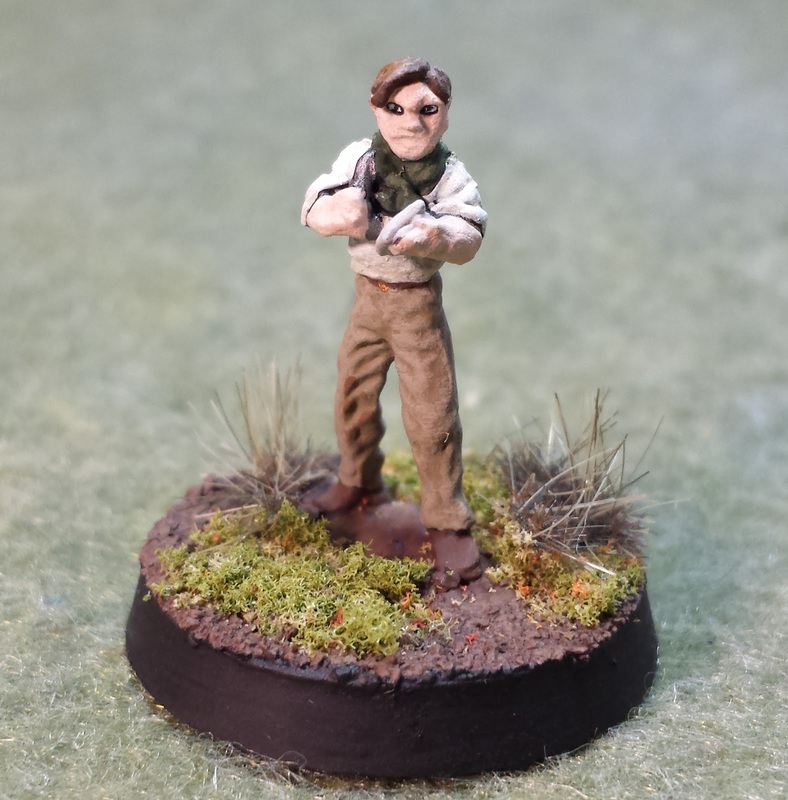 How exactly do you find a 20mm mini fitting a lawyer in safari gear? 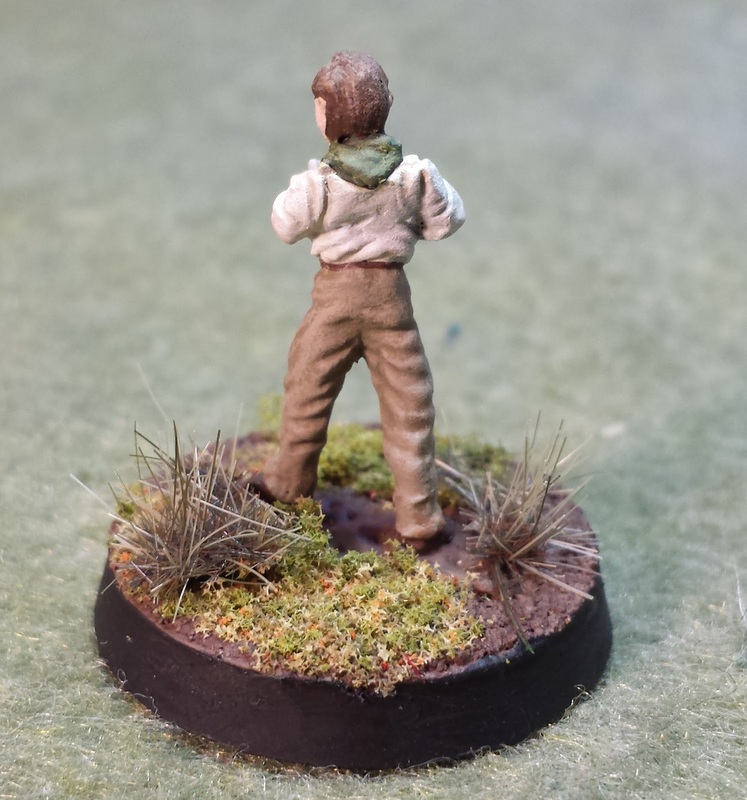 After some days searching, I discovered this figure from Elhiem Figures, a company specializing in 20mm miniatures. This guy comes from Elhiems Pulp and Horror Adventure line, and is part of the 20 Historical Explorers set. 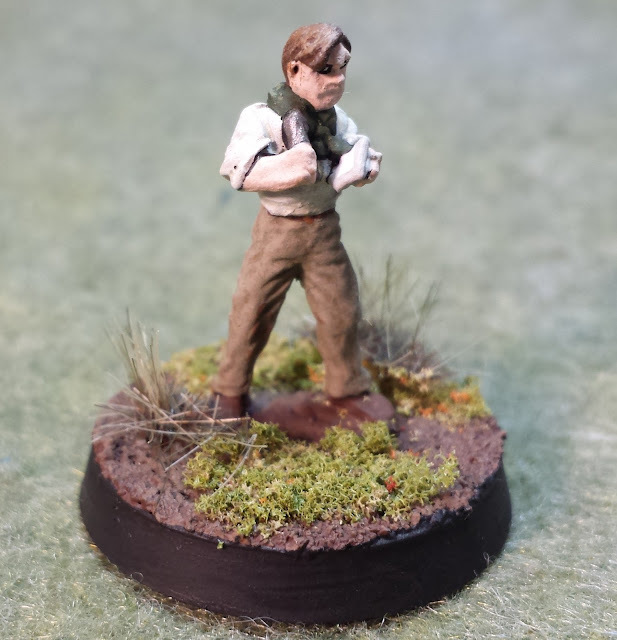 Though these minis are more to represent the pulp era of the 10's-40's, I think that stylish, yet rugged outfit is just the sort of thing a high profile lawyer, like Douglas Genoro, would wear. Douglas Genoro is a "fix-it" man for Ben Wu. He come along to make sure things went according to plan: as Ben Wu's eyes and ears. He was never supposed to touch the ground. So when the planed crashed; stranding him, the medic and two of the mercenaries on the island, he was ill prepared. Thankfully the two mercs and the medic should be enough to get him out alive. This mini and others will be seen in Escape Dino Island Game 1, on the blog soon! Campaign Creator Now Has Themes!